Best red for under R100 – setting records! 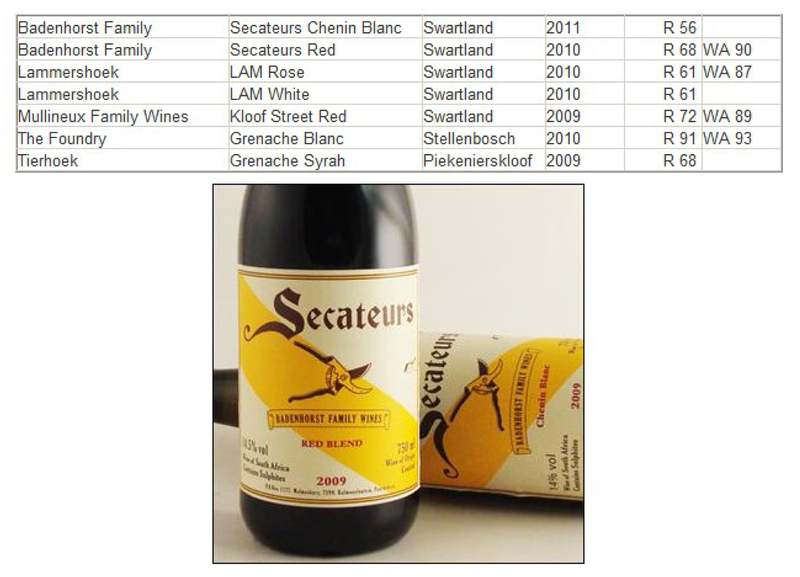 Roland Peens at the Wine Cellar reckons our Secateurs Red blend 2010 vintage is the best SA red you can buy for under R100. They are currently running a special on this wine (buy per case) and 2 days into the sale he says it is selling so fast that he predicts record sales! He also mentions our Secateurs Chenin on his list of top wines under R100 along with other Swartland gems like Lammershoek LAM and Mullineux Kloof Street Red. Read more and place your order here – to be a part of the record! This entry was posted in Adi Badenhorst, Secateurs, Wine advocate, wine cellar by quietriotgirl. Bookmark the permalink.